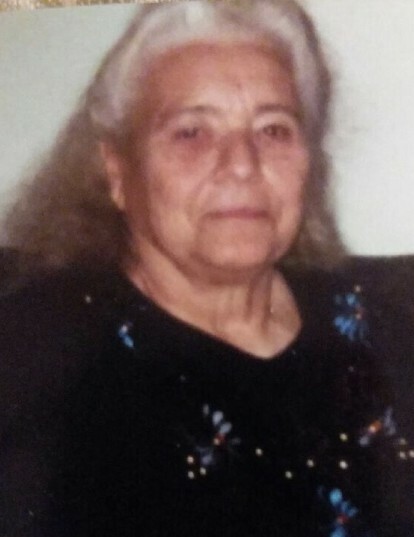 BYHALIA- Mrs. Bertha Mae Spicer, 86, passed away on Thursday, March 28, 2019 at Desoto Health Center in Southaven, MS. She was born on December 28,1932 in Collierville, TN to the late Frank Moss and Fannie Whitehead Moss. She loved cooking, gardening and sewing. Services will be held on Saturday, March 30, 2019 at 1p.m. at Serenity-Autry Funeral Home Chapel with Bro. Johnathan Murphy delivering the eulogy. Burial will take place at Carey Chapel Church Cemetery in Red Banks, MS. Serenity-Autry Funeral Home of Holly Springs is in charge of the arrangements. She leaves to cherish her loving memories three sons: Eddie Lee (Elizabeth) Solly of Nashville, TN, William Earl (Patricia) Solly of Byhalia, MS and Kelly Gene (Patricia) Solly of Adamsville, TN. Eight daughters: Helen (Johnny) Meeks of Plant City, IL, Audry Mae (Eddie) Jones of Fort Smith, AR, Annie Kate Parmenter of Fort Smith, AR, Sarah Ann Hughes of Van Buron, AR, Margaret Ann (Curtis) Willis of Byhalia, MS, Becky Sue (David) Williams of Horn Lake, MS, Dorothy (Mike) Hall of Olive Branch, MS abd Jackie O. (Shane) Barker of Jasper, AL. One sister: Stella Virginia (Ray) Doyle of Walnut, MS. Thirty-four grandchildren and thirty-two great-grandchildren and a host of other relatives and friends. Visitation will be on Saturday, March 30, 2019 from 11a.m. until time of service at the funeral home.